Arizona Daily Sun - Letters Needed! Take Action to Save Endangered Mexican Gray Wolves! Deadline to weigh in against new wolf killing provisions is December 27, 2014. Cronkite News, 12/3/14. Letters Needed! Stand for Wolves December 5th in Phoenix, Arizona. Email Commissioners. Easy to make, eye-catching Mexican wolf ornaments! Revised Management of Reintroduced Lobos a Risky Roadmap to Extinction, 11/25/14 - Comments needed! Associated Press: Wildlife officials have confirmed the first gray wolf in northern Arizona in more than 70 years. Opinion Column: Gray wolves return to Grand Canyon? The Arizona Republic, 11/15/14-Letters Needed! Albuquerque Journal, 11/13/14 – Letters Needed! November 12, 2014 Write a letter to the editor for Lobo recovery today! In the News: Gray Wolf Spotted in Grand Canyon for First Time in Decades? National Geographic, posted 11/11/14 Letters Needed! Arizona Daily Star, 10/30/2014 Letters Needed! I’m pro-wolf and I vote! Let candidates for election see your commitment to wolf recovery! Celebrate Wolf Awareness Week by Joining the Pack! Letter Writers Stand for Wolves! Mexican Wolf Tee Shirt Design Contest Winner and Finalists! View amazing designs and support wolf recovery with a tee-shirt purchase! In the News: Should Mexican wolves roam Utah? Editorial: Our View: If the feds had done their job, they wouldn't be facing another lawsuit over the Mexican grey wolf. Arizona Republic, 9/11/14 Letters Needed! Tell the USFWS that a recovery plan is needed for Mexican wolves now! Action: Go Wild About Wolves & Wilderness! High Country News - The species still struggles on both sides of the border. RESCHEDULED:Stand up for the Mexican wolf at the AUG 28 N.M. Game Commission meeting in Santa Fe. Don’t let the NM Commission block lobo recovery. Santa Fe Reporter, August 26, 2014 Act now! AZ Daily Sun, August 22, 2014 Letters Needed! Great Pro-Wolf Letters to the Editor – Thank you! The Arizona Republic, Brandon Loomis – Letters to the editor needed! Editorial: Our View: A proposed rule makes it too easy to kill or remove Mexican gray wolves for acting naturally. AZ Republic Editorial Board, 8/3/14 Letters to the editor needed! Albuquerque Journal, 7/25/14 –Letters to the editor needed! Arizona Daily Sun, 7/25/14 - Letters to the editor needed! Changes Needed to Help Lobos Thrive! 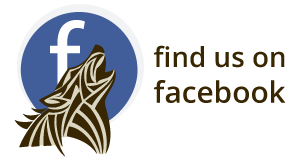 Mexican Wolf Tee-shirt Design Contest! Blog: U.S. Fish and Wildlife Service jumps in to save Mexican gray wolf pups, but are they going about it the right way? Events: Lobo Meetings in Flagstaff (6/3) and Albuquerque (6/5)! 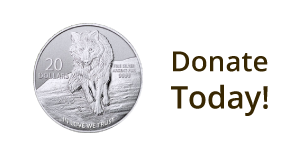 Join our ABQ or Flagstaff Pack to help save the endangered Mexican gray wolf! Blog: How Do You Make a Wild Animal? In the News: Do Wolves, Cougars Help Curb Diseases? Blog: How Should We Honor Earth Day? This Earth Day, Help Lobos by Staying Informed and Getting Involved! Oppose Anti-Wolf Bills in AZ Legislature! Blog: Why Do Wolves Howl? Open to kindergarten through eighth grade. Deadline is March 14! Urgent! AZ Anti-wolf bills in committee Monday! Urgent: Help stop the government’s plan to indiscriminately trap an endangered Mexican wolf! Urgent-Act Now to Protect Lobos! Event: Make a Difference for wolves in 2014 – and beyond! Associated Press, January 31, 2014 Letters Needed! Blog: Will New Proposal Help or Hurt the Endangered Mexican Wolf?